The Sopranos prequel The Many Saints of Newark has just cast a very important character. Alessandro Nivola is currently in negotiations to play Dickey Moltisanti in the project, which is being directed by Alan Taylor, who directed several episodes of the hit HBO series. The screenplay was written by The Sopranos creator David Chase along with Lawrence Konner. 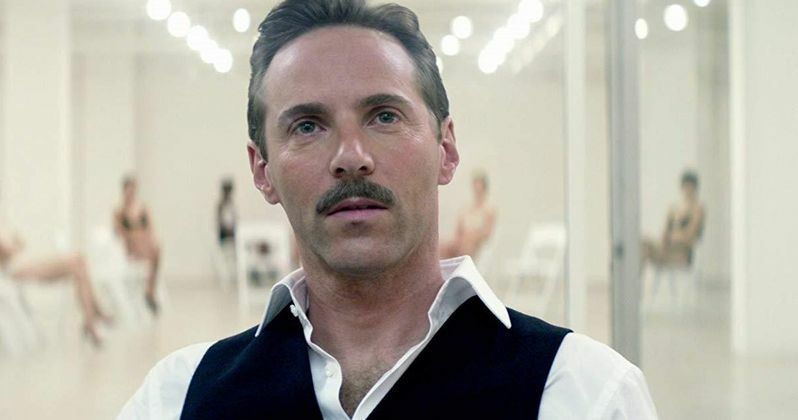 Alessandro Nivola (American Hustle) is set to play Dickey Moltisanti, who is a charismatic, but extremely violent "made man who falls in love with his father's much younger bride, a recent immigrant from Italy." When the prequel takes place, Moltisanti does not have children of his own, but takes on the task of mentoring a young Tony Soprano, a family friend's son. Soprano's father is serving a lengthy sentence in jail. In The Sopranos, Moltisanti is the deceased uncle of Tony Soprano and the father of Christopher Moltisanti. Dickey Moltisanti was never shown in the original series, but was always referred to as a mentor by Tony Soprano. The story for The Many Saints of Newark is reportedly set during the era of the Newark riots in the late 1960s, which was only one of the 159 race riots to occur in the United States at that time. It is believed that the prequel will take place in 1968 through 1975, featuring a young Tony Soprano, who might be played by more than one actor to get the time periods correct. With that being said, the prequel is shrouded in mystery. It's believed that other classic characters from The Sopranos will show up in the movie as well. The Many Saints of Newark was announced in March of 2018 and production is set to begin in March 2019. With David Chase and Alan Taylor on board, the prequel should be able to satisfy loyal fans, who have been waiting a long time to see something else from the franchise. There is no release date set, but a 2020 or even late 2019 premiere seems logical, if everything goes according to plan during filming. The Sopranos ran on HBO from 1999 to 2007, and is considered by many to be one of the best shows in television history. In addition to being one of the greatest shows ever, the series was able to pull major ratings, which at the time, was rare for a premium cable network. The groundbreaking show ended over a decade ago, but it's still very much a piece of popular culture. Fans still argue over which episodes are the best from the iconic series, so it's going to be very interesting to see how The Many Saints of Newark is received. The casting news was first reported by Variety.